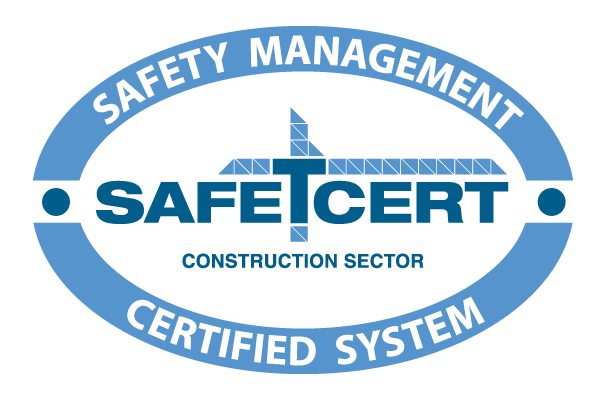 Select Roofing are proud to announce our accreditation with a Safe-T-Cert in recognition for our operating of a Health and Safety Management System which adheres to the governing regulations and national guidelines concerning safety in construction. The Safe-T-Cert was created by the Health and Safety regulators in conjunction with the construction industry and is the universally recognised standard for adherence to all the specific rules regarding safe working on sites and at heights. It is designed to take into account the whole range of contractors involved in construction no matter what their size. The Safe-T-Cert verifies that the given contractor has met the safety criteria for Public Procurement Processes in both the UK and Ireland. It also certifies the contractors competence as per the guidelines set out by the Health and Safety Authority in Ireland. It is based on International Labour Office guidelines on Occupational Safety and Health Management Systems. When looking for a contractor to carry out maintenance, refurbishment or installation work on your roof or cladding make sure that, like Select Roofing, they have their safety credentials backed up by a Safe-T-Cert.